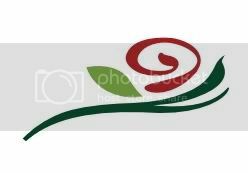 Alpha Beta chapter was officially installed on December 2, 1922. …The Alpha Beta Building Association was established in 1923 as a continuation of the House Hunting Committee, and in June of that year they had found and purchased a house at 1322 Hill Street––the Eleazer Calkin house, built in 1894–– which has been the address of Alpha Beta ever since. Parents helped wire money in for the down payment. … lack of space would lead to the 1945 purchase of 1316 Hill next door. 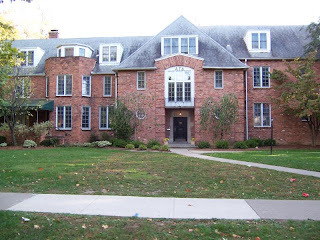 … In the mid 1950s, recognized and approved organizations that housed women had to house at lease 65 of them (matching the new quota level for sororities) in a single building, and Alpha Beta was not able to do that. … Much deliberation over the problem occurred in 1957, similar to the meetings after the 1933 fire. Again, the chapter considered whether they wanted to sell the two properties, or try to do something involving the two houses. 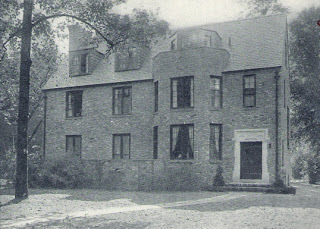 It was decided to keep the current property as the chapter and alumnae were very satisfied with the location. … When asked if the two houses could be joined, they replied, “Absolutely!” Grand Council and House Association approved the plans shortly thereafter, and in May of 1958 the Schmitz firm was given the go-ahead. The “new” house was completed in 1960. (Below) The completed combined houses. 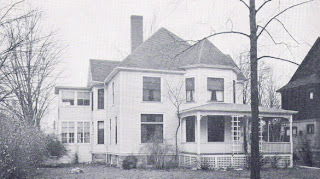 The right side is the 1316 house (Annex), the left is the original portion bought in 1923.